Second has numerous mission and outreach programs that serve the Indianapolis community. 3. The next screen shows Sign Ups you have joined, been invited to or created. 4. If your Sign Up is not on the list, follow the link from an e-mail or the Second website. 5. The Sign Up includes a description of the service opportunity. 6. Scroll down to the list of opportunities and select “Sign Up” for the one you want. 8. That’s it! You can easily add this event to your calendar. 9. Next time you login, this Sign Up will appear in the list on your account screen. We strongly suggest that you join, or make an account, when you sign up. This helps when you return to sign up again in the future. Consider the term, “HOMELESS.” We have all had hard times but have you ever wondered where you would sleep tonight…where your children would sleep tonight…where the food to fill their stomachs would come from? In this land of plenty, “Homeless” doesn’t just mean “no house or apartment” it means no “HOME,” nowhere that provides security, roots, comfort, or a solid foundation. Many homeless families face a daily struggle to survive that creates feelings of helplessness, anxiety, suffocation and desperation. Second Presbyterian is among more than 25 congregations and synagogues who partner with the Interfaith Hospitality Network (IHN) to provide meals and a place to spend the night for up to four homeless families. IHN Day Center’s staff helps families find long term solutions: permanent housing, employment, educational opportunities and other resources to regain their independence. The IHN receives referrals from individuals, community resources, and the 211 Connect 2 Help line which provides human service resources. We are beginning our fifth year of commitment to helping homeless families in our community by providing a safe and comfortable bedroom for families of two to eight, breakfast and a nutritious dinner, activities/recreation for children of all ages, and transportation to and from The Day Center where adults receive case manager services to be able to secure meaningful employment and then safe and affordable permanent housing. This is an opportunity for each of us to welcome the stranger and show the Love of Christ. All of this doesn't happen though without many volunteers during the week who give generously of their time whether preparing a meal, playing with children, driving the van, or spending the night. Join Second's efforts to brighten the lives and lighten the load of families who struggle each day to keep going forward. 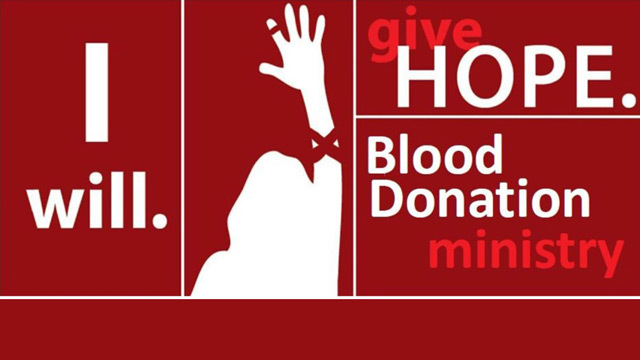 Call or e-mail Dianne Berry at (317) 848-5715 to volunteer or click the Sign-Up Genius logo above to volunteer. Northside Mission Ministry envisions holistic enduring change that liberates individuals, rebuilds families, and revitalizes the community in order to break the cycle of poverty in Washington Township. 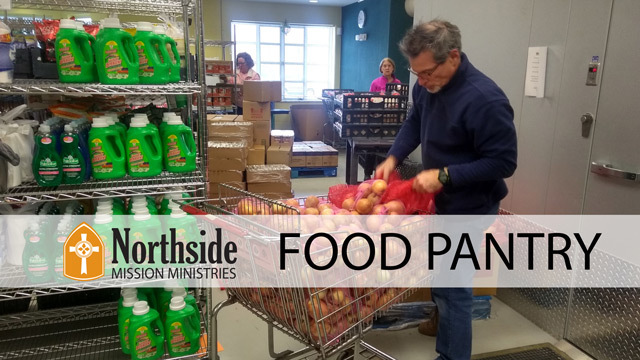 By following Christ’s example, Northside Mission Ministry seeks to care for the poor and those experiencing hardship in Washington Township by building relationships with them to develop food security, to work toward economic stability, and to participate fully in the life of the community. This mission and vision is carried out by four main initiatives that are housed under the Northside umbrella. These programs have experienced incredible growth in recent years: growth in needs, growth in relationships, growth in compassion, and growth in impact! The Northside Food Pantry is located on the northeast end of the church building. From inside, walk down the hallway past the library. The hallway will dead end into the food pantry. From outside, enter the building through the covered entrance on the northeast corner. Once inside, turn right through the double doors. The Northside Food Pantry began with the vision of a small group of church members. It has evolved throughout the years from a closet that handed out a few food staples to the current grocery store-like environment that it is today. Not only has the pantry expanded and grown, it has streamlined its policies and procedures and drastically reduced the cost of providing food for each household. An average of 400 households visit the pantry each month. The Northside Community Garden has transformed from six raised beds to the cultivation of a large tilled portion of land. The garden’s growth has been the direct result of a small group of committed volunteers, as well as guidance from groups like the Indy Urban Acres Farm. For a period of time, the garden did not have a locally available water source. When there was little rainfall, volunteers would water the plants with water they physically carried to the garden in gallon jugs! The garden has come a long way from raised beds without a water source. Wood structures including the garden shed were built by two SAWs volunteers. Production has gone up from 300 pounds of produce in 2014 to around 1000 pounds in 2015 to nearly 1,100 pounds in 2016. The garden is not only productive – it is beautiful, featuring flower beds, a seating area, and a prayer garden. The garden is currently managed by Jeff Reese. Northside’s partnership with Greenbriar Elementary School began about five years ago and has been largely organized by Jan Millholland. In the years since, Northside’s relationship with Greenbriar has been a process of learning what the needs are and how we can best offer support. Northside works collaboratively with Presbyterian Women and other friends of Greenbriar to provide volunteer support for classrooms and school events, snacks for afterschool tutoring, Teacher Appreciation events, and the donation of school supplies and other specially requested items. Greenbriar students need school supplies throughout the year. Download the supply list and bring donations to Second in a bag marked "Greenbriar." The Utility and Rent Assistance Program (URAP) is currently the only dedicated assistance program of its kind in Washington Township. Since its inception, URAP has sought to have a positive impact on families by offering financial intervention in a moment of need. In these ‘gap’ situations, a little assistance goes a long way, often preventing a family from losing their housing or having their power shut off. As URAP has evolved, we have increasingly partnered with the Washington Township Trustee and the Metropolitan School District of Washington Township in order to work with integrity and efficiency. Thank you to all of our dedicated volunteers and supporters of Northside Mission Ministry. Thousands of our Washington Township neighbors have benefited from these programs because of you! The goal of this team is to bring awareness to the issue of hunger and work to eliminate it in our neighborhood, state, country, and world. Bread for the World is a collective Christian voice urging our nation's decision makers to end hunger at home and abroad. Each year the Hunger Team encourages church member participation in the Offering of Letters, an opportunity for our members to be advocates to our governmental leaders on behalf of our neighbors, local and global, who are food insecure. Part of a grass-roots national hunger awareness program, each January and February the Hunger Team hosts a church-wide Souper Bowl of Caring fundraiser and food collection drive to support the Northside Food Pantry and the Westminster Food Pantry. Sponsored by the Church World Service, the annual CROP Hunger Walk in October in the Butler-Tarkington neighborhood raises awareness and money for hunger relief on a local, national and worldwide scale. The Hunger Team recruits walkers who solicit individual support for participating in the walk. Our church continually collects non-perishable food and various sundries. The collected items are divided between the Northside and Westminster food pantries. Food collection baskets are located in the atrium next to the church offices. Volunteers are needed to sort donations and deliver food to Westminster. Handicapped individuals confined to a wheelchair are truly captives in the walls of their homes when no ramp is available. SAWs is a group of ecumenical volunteers (men and women) that work together to build wheelchair ramps for the elderly, disabled and infirmed that can not afford to have the ramp built. These individuals are identified through social agencies as unable to financially provide a ramp. Learn more at the SAWs website. The concept of building hundreds of wooden wheelchair ramps every year never crossed our minds in 2003. That spring Reverend Berry suggested, “There are Presbyterian men in Fort Wayne building ramps for low income people with disabilities and those who struggle with the effects of aging. Maybe there is a need for ramps in Indianapolis.” We had to go looking for our first clients so we thought this would be maybe a few projects each year. From the very beginning the Second family stepped up and supported the effort with funding and volunteers to drive the screws and cut the boards. Without a clue what they were getting into, volunteers showed up on a frosty November morning and spent their entire Saturday building that first ramp. The Second Mission Committee paid for most of the materials during our first few years, but as the requests increased, members of the church came forward to lend their financial support. Presbyterian Women have been extremely generous, and we have been supported by Rehm Guild, church staff members, and even the children of the church. Volunteers to do the building came from almost every segment of the congregation. The requests continued to increase until between 2007 and 2008 when our projects doubled from 15 annually to more than 30. At this point we needed a shop where we could prefabricate the parts for the ramps, and Second gave us the use of the implement shed at the north end of the parking lot. The church enclosed the area surrounding the shop to enhance the security of the materials we stored there. That was our home until March of 2015 when we moved into our present home on the Northwest side of Indy. Our Second family has supported, most importantly, with prayers, encouragement and expertise everywhere we needed it. Second is a steadfast supporter of the local Habitat for Humanity chapter. Our church has built or refurbished at least one home each year and over the past 20 years has donated more than $2 million to Habitat. Second has participated in several interfaith builds for Habitat. If you would like to volunteer with Habitat around the city of Indianapolis, sign up on their volunteer hub today. Rev. Jim Montgomery and Jennifer Shivers lead this team of faithful persons, who feel called to work with refugees in our city. In early 2018, we welcomed a Congolese family of 12 to Indianapolis. They had been in a refugee camp in Tanzania for almost two decades. The ten children of this blended family include boys who are 19, 18, 16, 14, 11 and 7 and girls ages 16, 14, 12 and 5. If you would like to learn more about how you can help, contact the Ministry Assistant for Missions. This program is a vital center of hope and love for the local children and families. Westminster Neighborhood Services focuses on the children and families on the Near Eastside of Indianapolis. We rely on volunteers to be able to serve the many people that utilize our services week after week. Our main need is in the Food Pantry and Soup Kitchen, as well as tutors and homework help for our youth services afterschool program. Without volunteers Westminster wouldn't be able to come alongside families and build relationships with them while trying to help them find their way out of poverty. Intake volunteer: gathering information about the neighbor and get them signed in the use the food pantry. Personal shopper: walking neighbors through the pantry, helping answer any questions, ensuring they understand the points system, talking with them and making them feel comfortable. Reloader: helping reload the shelves and coolers to ensure neighbors get a quality selection throughout the entire pantry hours. Days needed: Mondays, 9 a.m.-12 p.m. and Thursdays 8:30 a.m.-11:30 a.m.
Helpers assist with prepping salads, fruits, veggies and desserts for meals, serve food to neighbors, clean up dishes, and restock condiments, drinks, napkins, silverware. Days needed: Mondays 9 a.m.-12 p.m. and Thursdays 8:30 a.m.-11:30 a.m. Volunteers assist afterschool students with homework, focus on academic activities to help students where they are struggling, and build relationships with our students so they see adults as someone they can turn to and talk to. To lend a hand or learn more, contact Chrissy Petersen at 317-632-9785 or cpetersen@westmin.org. Westminster provides a continuum of services for families, including preschool, after school, mentoring, tutoring and summer programs. A food pantry, soup kitchen, clothing closet and medical clinic address immediate needs. A prayer chapel, part-time chaplain, and Bible study provide spiritual support. Volunteers have served as tutors and mentors. We’ve taught Bible classes and led Holy Week festivals. We’ve worked in the food pantry, community garden, and assisted with basic maintenance of the building. We’ve gathered school supplies, backpacks, and food for the pantry. Through our 175th Anniversary Campaign, we contributed $2 million toward the construction of a new, 16,000 square foot Adult and Family Services Center. This new center significantly increases the pantry and medical clinic. The new class rooms, computer lab, private counseling rooms and large community room have led to a major expansion of adult education opportunities with classes in cooking and nutrition, basic math and reading, parenting, anger management, job readiness, resume building, financial literacy and English as a Second Language. Adults can also earn their GED/HSE, as well as certification in a number of occupations. NEXT SALE: Friday, June 7, 5 - 7 p.m. and Saturday, June 8, 8 a.m.-1 p.m.
More than 17,000 square feet of clothing, home and garden, housewares, china, toys, books and more! This year marks the 70-year Platinum Jubilee of PW sales! Thanks to women like you more than $2.5 million has been raised to fund local, national and international mission programs. You can drop off your donations inside the doors under the canopy on the northeast corner of the building. We are now accepting clothing, toys, household goods, and more for the 2019 sales. We meet year round to sort donations. Want to help? Contact Krissy Seufert. What is Christmas Benevolence and what is its mission? Christmas Benevolence is one of the oldest mission traditions of Second Church. It is a church-wide project sponsored by the Deacons. Christmas Benevolence carries the Good News in the form of practical help to families in our community in need of assistance. It provides Bibles, food, clothing, personal items and gifts. It brings Christian love, encouragement and support to people identified by social service agencies. When and how did it begin? Christmas Benevolence started over 35 years ago when three women of Second Presbyterian Church who, during a particularly brutal winter, heard about some inner-city children who were not able to go to school because they didn’t have any warm clothing. The three women collected coats, hats, mittens, scarves, and boots for those youngsters. They also gave each child a wrapped present – a toy or a book or other non-essential – because they believed everyone should receive a special gift at Christmastime. They had no idea that their simple idea would become what we know today as Christmas Benevolence. How many families and people are impacted? Each year the church serves approximately 780 individuals in more than 150 families. We provide food, clothing and personal items. Christmas Benevolence also impacts those who serve. It gives members of our congregation an opportunity for living their faith and seeing firsthand the impact it has on our neighbors. Delivery day and clothe shopping brings those who want to live their faith in direct contact with our neighbors in need. How are the families selected? Social workers are given criteria for whom to select, primarily families with children and with financial and physical needs are chosen. People can volunteer their time during the month of December and/or provide financial support. Both online giving and volunteer opportunities can be found at the following links: www.secondchurch.org/e-giving and http://www.secondchurch.org/cb. Members can also sign up in-person in McFarland Hall on Sunday mornings in November. In 2017, organizers project there will be approximately 650 volunteer slots available throughout the month of December. We have set an inspiring new goal of attracting over 50 first-time volunteers this yer. Some volunteer opportunities, like delivery day drivers, allow entire families to sign up and serve together. With approximately 800 volunteer slots, there is literally a volunteer opportunity for everyone. Although some volunteer opportunities require some heavy lifting and physical endurance; many entail general set up, organizing food/clothing items, wrapping gifts, and working directly with families. ribbon. Can be completed while sitting. requires walking and light lifting. clothing in the multi-purpose room. Knowledge of Spanish helpful on Saturday, December 9th. Spanish is helpful but not required. Spanish helpful but not required. be age 16 or older. Ability to speak Spanish helpful but not required. 16 or older. Ability to speak Spanish helpful but not required. Party Cleanup – Cleanup after the party. Box Moving - Move and reorganize family boxes. Clothing Tear-Down – Bag remaining clothing items to send to Goodwill. cases. * Bring coats, gloves, and utility knife (if you have one). under 12 do not count toward the 24 total shoppers, but are welcome when accompanied by an adult. is limited to 16 adults (per shift), but children are welcome to work with their parents. Baggers must be able to lift full bags of groceries. and break down boxes *This is limited to 4 adults (per shift); children 18 and under are not permitted. Delivery Day Freezer Unloading – Move hams from off-site location to the church. the items for their Christmas. Great for families! When and how do I sign up for volunteering? Beginning on Sunda,y November 12 thru December 3, the Christmas Benevolence volunteer display will be set up in McFarland Hall between 9:00 a.m. and 12:30 p.m. Deacons will be available to answer your questions and help you register as a volunteer. You can learn more at http://www.secondchurch.org/cb where you will find a helpful link to Sign-Up Genius, the church’s online volunteer sign-up portal. You can also sign up sign up in person in McFarland Hall on Sunday mornings in November through December 3rd. Those who have volunteered and served throughout the years have received in return the joy of knowing that they have been, for a little while, the hands and feet of Christ. Volunteering is fun for individuals and families! You will meet an army of engaged, friendly and faithful people of all ages. Children can help with their parents and make Christmas cards. Teens can also help with many of the activities. Volunteering will impact your life and your family. There are hundreds of personal stories from people just like you who “light up” or get very reflective when sharing about their positive experiences. What is the goal for financial support? Christmas Benevolence’s annual fundraising goal is $62,000. This outstanding annual fundraising tradition directly pays for food, clothing, coats, bedding, and other project supplies. It maintains the excellence and impact of Christmas Benevolence. Without financial support from the members of Second Presbyterian Church, Christmas Benevolence can’t exist. What are “tags” and what do I do with them? Tags represent gift items that can be purchased for our Christmas Benevolence families by members of the congregation. The gifts range from clothing to toys to kitchen items to hams. The tags are available at the sign-up table in McFarland Hall. Each tag represents one gift item and includes specific instructions that will guide the shopping process. For example, the tag might say something such as a “toy for a 5 year old boy” or “a size 6 pair of pants for a young girl.” When you take a tag, you will purchase the item and return it to the church unwrapped. The gift will later be wrapped by members of the church. The tags and the purchased gift should be returned to the church by Sunday December 3. NOTE: When purchasing children's clothing items, please make sure to purchase the following to form a complete outfit: a sweater or sweatshirt, a pair of pants, and a long sleeved t-shirt. Is childcare available for volunteers? What do I call the individuals and families that we help? They are our neighbors and friends. Someday they may help us, just as you have helped them. Internally, we refer to them as Christmas Benevolence families. How can I stay up-to-date about the latest Christmas Benevolence news and happenings? The third Monday of each month (excluding January, July and December) donated clothing is organized by size by volunteers. The clothing is then given to needy families in our community at Christmas. Each meeting begins with dinner and fellowship at 6:00 pm in the Youth Suite followed by sorting in the Missions room.